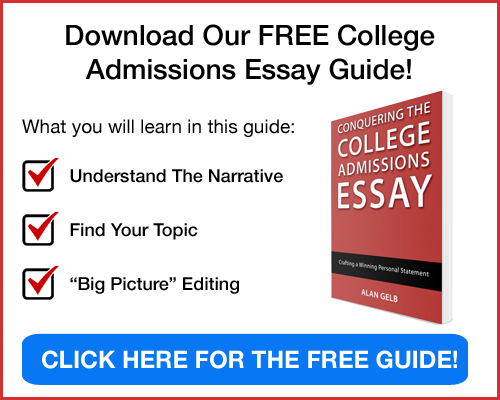 At Conquer The College Essay, Alan’s experience working with thousands of students has helped him refine a process that guides students every step of the way, from finding the right topic all the way to a winning final draft. Students complete our short but detailed questionnaire, which begins the self-exploration, etc. Through phone or video conference, we talk through your responses to the questionnaire and settle on an essay topic. We will send you a suggested paragraph structure, including target word counts for each section, around which you can build your first draft. When you send in your first draft, we respond with a tracked document that gives feedback. Typically, you can count on at least three drafts and sometimes as many as six or seven to achieve the level of excellence you’re striving for. We will be at your side, at least virtually, as you go through the drafting process. Your essay has to be letter-perfect. We make sure that it is.